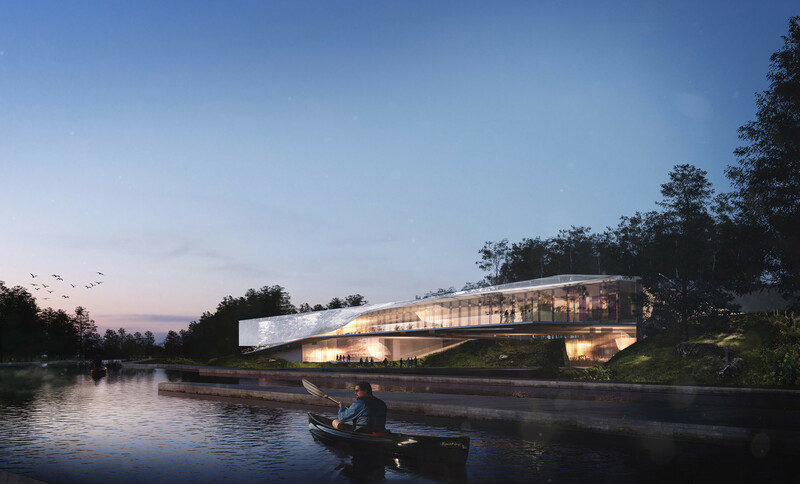 Canadian Canoe Museum Competition Designs Unveiled! Working together with 5468796 Architecture, Moriyama & Teshima Architects is one of five shortlisted teams for the Canadian Canoe Museum in Peterborough. Parks Canada and The Canadian Canoe Museum are seeking to relocate the Museum to the Trent-Severn Waterway, and we are thrilled to be part of this incredible project. Click here for further details of our design and don’t forget to vote here!